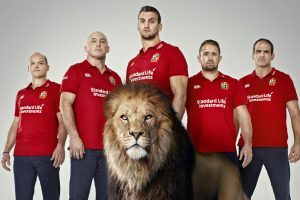 talkSPORT has won the exclusive UK radio rights to the British & Irish Lions 2017 Tour to New Zealand. Part of the Wireless Group, talkSPORT and its new sister station talkSPORT 2 will broadcast full commentary of all 10 matches along with dedicated daily news and programming – more coverage than ever before. talkSPORT was also the exclusive radio broadcaster for the British & Irish Lions’ historic series victory over Australia in 2013, as well as the 2011 Rugby World Cup in New Zealand. The station will also launch a new rugby show on talkSPORT 2 on Sundays at 5pm, as well as carrying commentary of the Aviva Premiership throughout the season. British & Irish Lions chief executive, John Feehan, added: “There is a huge appetite for radio coverage of the Lions and we are delighted that talkSPORT has been appointed as exclusive rights holder.